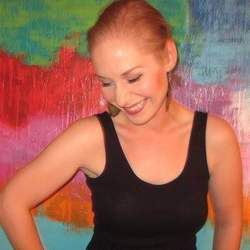 Andreana Binder is a corporate writer by trade, with a love for the arts and education. Andreana has taught various English courses in Composition & Rhetoric, Technical Communications, Early American Literature, as well as Creative Writing at Lone Star College and Houston Community College systems. She is also a private tutor and career coach, assisting clients with matters of education, resume writing, and job placement. Andreana has a bachelor’s in Creative Writing--Poetry from the University of Houston, as well as a Master of Fine Arts in Creative Writing-Poetry from Antioch University Los Angeles. As a graduate student, Andreana was co-creator, marketing lead, and editor for The Sylvan Echo Online Literary Journal for two years. She assisted in the creation of the quarterly journal’s style and submission guidelines and in the feedback/acceptance of contributors’ work. Despite having studied poetry, Andreana cannot resist writing nonfiction essays and dabbling in short fiction. Her poetry has been published in Temenos and Fawlt Magazine, as well as creative nonfiction essays in Pebble Lake Review and N/A Lit Journal. • If she calls you to say hello, but mentions that she’s not feeling well, or feels tired—insist (by yelling) that she needs to come home to you immediately. Yell into the phone—if there’s someone else in the background while you’re on the call, yell at them too. Announce that your daughter isn’t feeling well, and it’s imperative that she come home—because at home, she’ll instantly feel better. Someone will likely be around to make her a sandwich and worst case scenario—if there’s no sandwich maker in the house, you can order a pizza. • If she’s writing a story for English class and wants to read it aloud to you, listen to her. Tell her she’s onto something, encourage her–but also offer ways she can make her story even richer – make a studio appointment out of it, even though you may never have exceled in English, or even completed an English course in the two years you attended community college. Everything that surrounds us has rhythm. Show her what rhythm means outside of dancing at weddings and parties–communicative rhythm. • If the home health care nurse comes to visit your house to tell your family that your blood pressure is dangerously slow, and your daughter, sitting on the couch watching the nurse take your blood pressure, looks frightened – look at her. Be brave, and look into her eyes to say without saying that everything will be okay and that you aren’t afraid. When the nurse leaves, tell her that if you are cremated, you’d really rather not have your ashes spread in Galveston, Texas, where so many people piss in the water. Andreana enjoys encouraging and mentoring students to feel at home with writing as a form of expression, and manner for discussion/debate. Andreana appreciates working with other writers/artists for the sake of inspiration and at times, collaboration. In an artistic community, there is so much to share and learn from one another.